October 29, 2012 (AP) — A cable and Internet provider in the Bahamas says it is planning to expand to the nearby U.S. state of Florida. 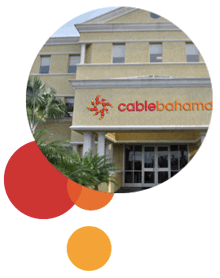 Cable Bahamas Ltd. says a $65 million deal would give the Nassau-based company access to millions of potential customers in Florida. The deal is subject to pending financing and regulatory approvals. It would involve the acquisition of three privately-owned telecoms in Florida. CEO Anthony Butler says the company would offer Internet, cable TV and telephone services to Florida residents. He said Sunday that the company’s growth has been “constrained by the size of the market in the Bahamas” so the Florida deal would be a major boon for the business. The Bahamas archipelago is off Florida’s eastern coastline. The islands have a population of roughly 350,000 people.